Inspired by @fgm http://blog.riff.org/2014_10_05_drupal_8_tip_of_the_day_check_menu_links_consistency I tried to make it a little bigger and not using a file scan but just 'core'. 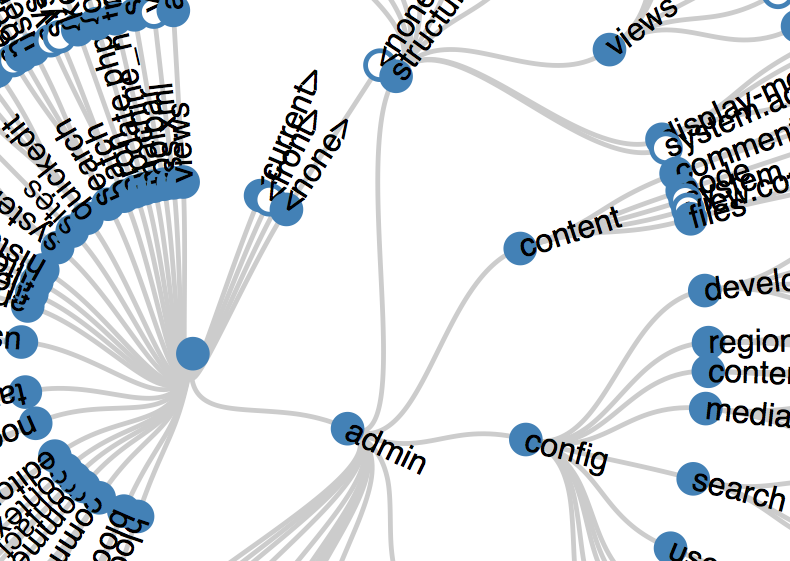 With $nodes and __ $links__ it is 'easy' to generate the needed data structures for GraphViz and d3js. Thats great but can we do better with d3js? 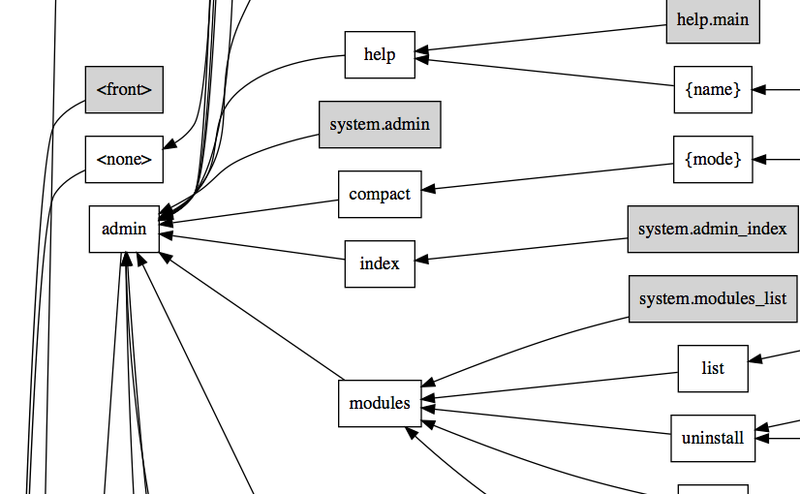 There is too much data to visualize the menu tree at once. 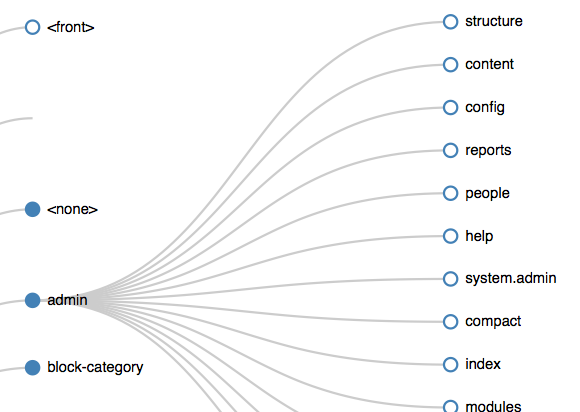 Using d3js with its animations it's possible to hide some parts to get to the good parts. Having a filter to quickly find and hide others may be the next step.